In the first of our #FashRev special, we interviewed Verry Kerry, an ethical & eco fashion brand. Verry Kerry have been making strides in the ethical industry, since launching in 2010. Founder Kerry has taken her business and turned it into a competing force against the fast fashion high street. Verry Kerry are able to produce original designs and quality garments, without the human and environmental impact. We caught up with Kerry to learn more about her brand's ethos and the talented makers behind her designs. Q: Who is Verry Kerry? Verry Kerry is an ethical brand that creates loungewear, daywear & accessories, that is... well, Verry me: colourful, relaxed, passionate, kind and… a little wild! With a love for prints, we create versatile pieces that can be worn in many different situations. The perfect travel companions, designed for people who love to look and feel amazing without the fuss & very little effort. We believe in creating a feeling that lasts, not following rules, fashion or trends, whilst championing sustainability, and a fairer and more kind society. We want to be more than just a clothing brand. It’s about lifestyle, attitude, and the way we look at the world. Trying to help others and the environment is at the forefront of everything we do. We also work with different projects like Kikora, in Kenya, Malambo Grassroots, in Zambia and Streets Kitchen, here in London, to help the less fortunate where we can. I started the business on my own, shortly after moving to London from Australia, but later my partner joined me on this journey and luckily our skills complemented and our beliefs matched. We are currently based in London, but dreaming of sunnier beaches…. Q: How did it all begin? I was born in Zambia where the vibrant, bold textiles (and abundant mangos, storms, stars, fireflies and incredible nature) always brought a smile to my face. I was also very lucky to experience life in Australia where I took a love for simple, casual & relaxed shapes with a beachy, Summery feel. However, I could never find anything that was ‘me enough’ and hated the idea of looking like everyone else, often taking my sketches to a local tailor to be made. With my graphic design background, I had an innate passion for colour and prints and found the switch into clothing quite a natural one. I wanted to create beautiful, comfortable yet flattering pieces that I could wear seamlessly in many situations. One piece with many different possibilities. In 2008 I embarked on a journey to India and its vibrant fabric markets, to bring my vision of cool, groovy loungewear, that could be worn everywhere, to life. As soon as I figured it all out, I started trading in 2010. I now juggle my time between being a mum and running my business. Being ethical and as sustainable as possible was never something to contemplate – it was an absolute must. It is of, of course, and ongoing journey, and we are constantly trying to learn and improve our efforts. 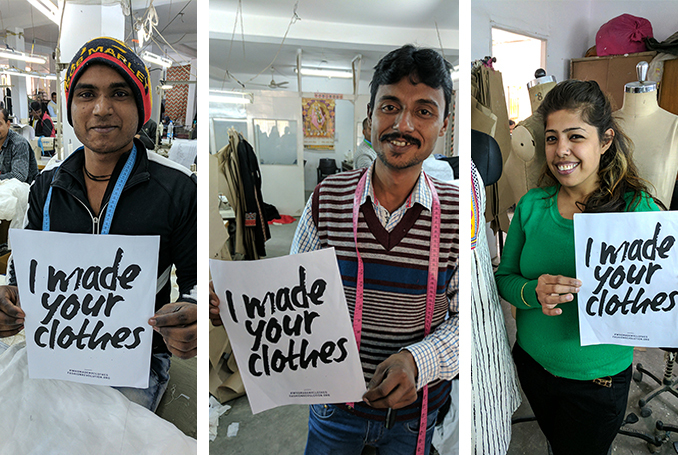 Q: Who makes your clothes? 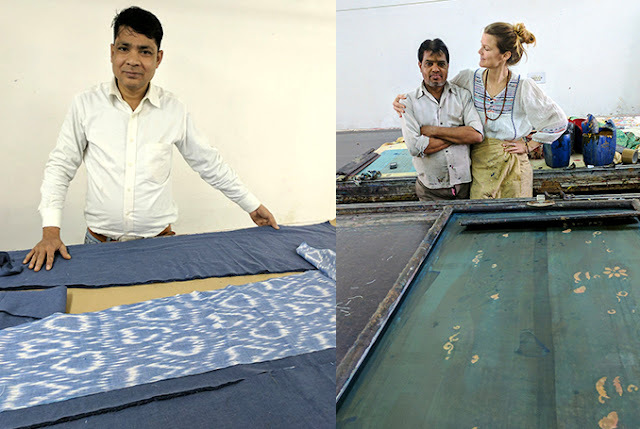 My designs are either digitally or screen printed by hand, with earth friendly inks, in a wonderful, family-run factory in New Delhi, that has been doing this for over 25years. 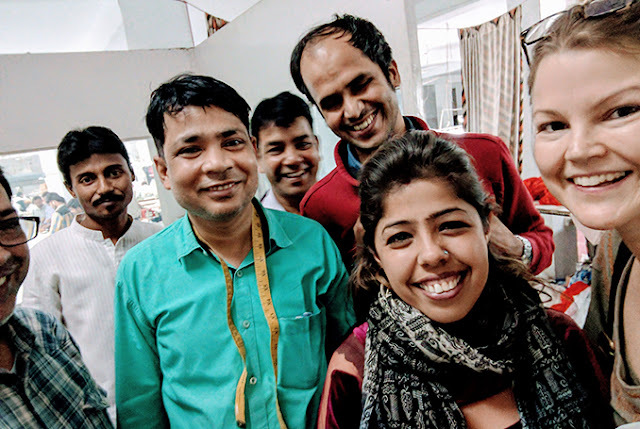 The fabrics are then ethically brought to life by a team of talented tailors in another factory, always in Delhi. 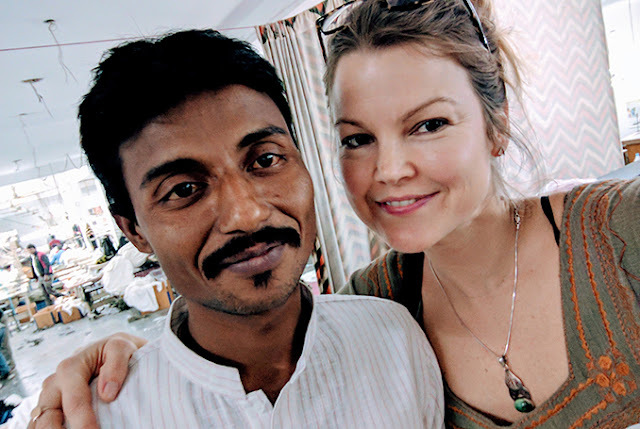 The working conditions are excellent: spacious and airy, ventilated spaces (it gets pretty hot in India…), modern equipment, but also a friendly, smile-filled environment where you can hear laughter, music and general peer support. 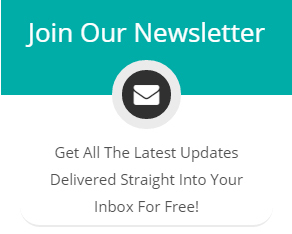 There are regular breaks, promotions, self-improvement opportunities and a lovely team feeling. The owner, now a good friend also buys buffet lunches for the whole factory on special celebrations, like Holi & Diwali and to reward the excellent team work. Most of his key team have been with him since the beginning, so it is a real testament to him and the workplace he has created. I spend most of my time there when in India and it is my home away from home. 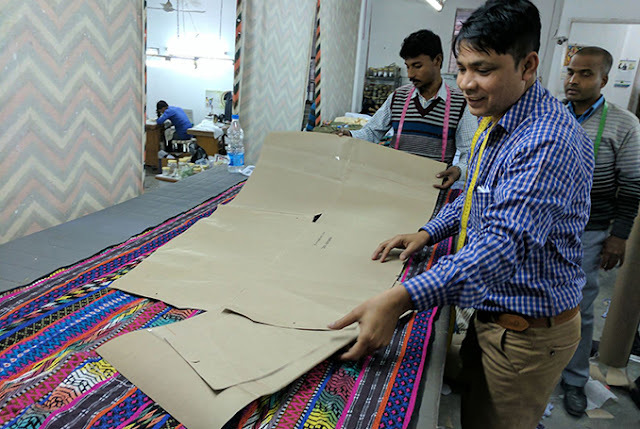 Tackling the waste issue is also a topic close to our hearts, and we are very proud to work with Swechha, an NGO that creates our vegan accessories, mostly by upcycling production waste. They are a youth-led, youth-run organization dedicated to making a difference to the environment, both physical and social. In their workshop, skilled artisans from impoverished communities are paid 1.5 times the average wage. Q: As a fashion brand, why was it important for you to know every aspect of the manufacturing behind your designs? When I started Verry Kerry awareness about wrong practices in fashion wasn’t as widespread as today. However, having had the privilege to grow up in Africa, I knew that I didn’t want to be just another clothing brand. Verry Kerry was born with the intention to give back to less fortunate people and I could never have accepted to exploit someone in the process. It is of the utmost importance and a wonderful feeling knowing that I have complete control and understanding of every part of my business and what goes into every little step. Of course, having a small scale production, with the manufacturing happening under one roof, makes tracing the product easier, allows me to witness key parts of the manufacturing process, and improves quality control. Furthermore, having established a great relationship with the suppliers means that I am able to put great trust in these professionals and their truly amazing abilities. It all starts with high-quality fabric, mostly organic cotton and bamboo, and earth friendly, AZO-free dyes, all brought together by exceptional craftsmanship. Nothing is mass produced, each piece is limited edition and hand finished, making it a truly special garment. The difference with cheap fast fashion is a significant one. We make a point to avoid animal derived materials and polyester in our clothing as well as plastic in our packaging. Our garments are sent out in fairtrade cotton tote bags that can be re-used and placed into a recycled brown, unbleached paper mailing-bag. Q: Can ethical fashion be a viable contender for the high street competition? If you consider that since the 1980's the cost of housing, rent, food, fuel and other commodities has risen, in some cases dramatically, then you would expect clothing to have done the same. In fact the opposite happened. As is now very clear to most, someone along the line pays the price. Luckily more and more people are waking up to this and demanding that their clothes are more consciously made, but we still need a shift in perceptions: fast fashion & trends have manipulated people into thinking that clothes are disposable and that we need to continuously buy and update our wardrobes, adding to the ongoing waste epidemic & throw away culture. 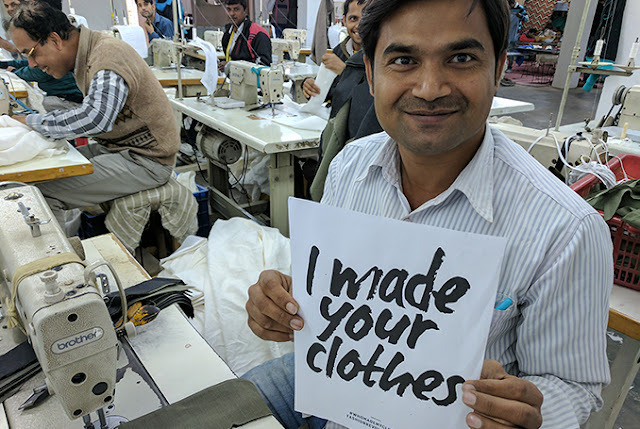 I believe ethical clothing must be a contender in the race and I believe the key is in re-educating ourselves. The impact the clothing industry has on the environment is something we must all stop turning a blind eye to. Our planet is ours, and we should all be doing our bit to protect it. We fight fast fashion habits by only making 2 main collections a year, avoiding continuous discounts and not taking part in initiatives such as Black Friday and other campaigns that inevitably undervalue your products just to make a fast buck. Every piece is designed to be timeless every season, because is most certainly not ‘fashion’ that matters, it's the way it makes you feel.